Born on November 10, 1949 in Seattle, Washington. Grew up in California with 7 siblings and when she turned 10 moved back to Seattle and began ballet. Throughout grade school she danced at San Fransico Ballet. When she was 17 and a senior, she moved to New York and graduated. Later on she had a love affair with her dance partner Bob Fosse for 6 years. 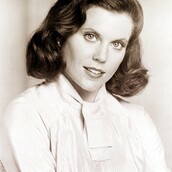 She then got married to Larry Small ending in divorce 1982-1989. Next marriage she bore a child, Chistopher Reinking Stuart, with James Stuart from 1989-1991 when the marriage came to another divorce. Than she got married to Peter Talbert and moved to Arizona in 1991.